Work: Watercolor illustration and poster design. 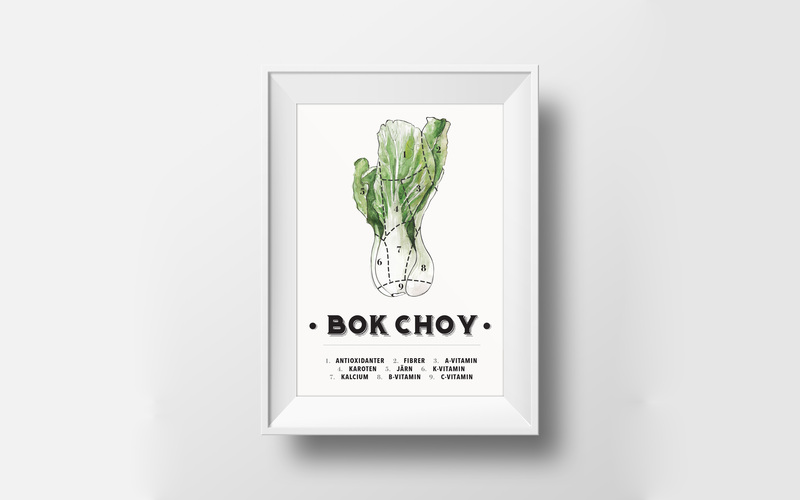 In the style of a butcher’s chart, I made this bok choy nutrition chart with information about the vitamins and other benefits of this vegetable. If you like this, you should check out the eggplant chart I made in the same style.